Although you may not realize this, our complex tax code extends to many issues in divorce. Because of this, Uncle Sam is an interested party in your process. Divorce Taxation is a large subject and the major reason Divorce Analytics considers expertise it an essential knowledge and experience requirement for divorce financial planning practitioners. Because it is a major source of Divorce Financial Mistakes, Divorce Taxation will be given a great deal of attention in future articles and posts. To emphasize the importance of tax planning in divorce, our experience has been that the more contentious the divorce, the more likely Uncle Sam will wind up with a bigger piece of the divorce apple. This is but another incentive to use a divorce financial planner in your divorce and to work cooperatively with your spouse to arrive at a fair and workable outcome. Below are some Q & A’s. More to come! Q:My wife and I have agreed on most things but seem to be stuck on who should claim the children on our tax returns. I feel that I’m already paying her a lot of money in child support and that enough is enough. She says the children are staying with her and that she is the one who will be taking care of them most of the time. Also, because she is making less money than I, she needs all the help she can get. Yet, I’m the one providing most of the financial support, I’m the one paying the most in taxes and they are my children too! What should we do? A:The two of you are not alone. Which parent gets to claim the exemptions for the children is one of the more contentious issues that come up in a divorce. We’ve seen people spend more time and more money in legal fees on this issue than on much larger ones. We’ve even seen legal costs go so high that they far exceed any benefits. It’s clear from your question that this is not just a financial issue but an emotional one. Remember, there are three parties at the negotiating table – you, your wife and Uncle Sam. If the two of you can’t get down to business, the party most likely to benefit will be Uncle Sam. From a strictly financial perspective, the less Uncle Sam gets the more there will be to go around. So, the best strategy is often (but not always) the one that results in the lowest total taxes. You and your wife could work out a sharing arrangement for the savings in taxes so you both benefit from cooperating on this issue. Figuring out tax savings is not simple and may require professional advice, but it’s well worth it. Under current law, the custodial parent gets to claim the exemptions but can waive the right by filing Form 8332, Release of Claim to Exemption for Child of Divorce or Separated Parents. The value of any exemptions is dependent, in part, upon your respective tax brackets. However, it should not automatically be given to the one in the higher tax bracket because of potential itemized deduction and personal exemption limitations. Other factors include the respective values of the Child and Education Tax Credits, the Savings Bond Interest Exclusion for college tuition and the Student Loan Interest Deduction, which can be claimed for dependent children only but are also subject to income limitations. Decisions can be made annually, so don’t worry that either of you might be giving something away permanently by trying to work things out this way. Q:Things have been really tight since my husband and I decided to divorce. One of the things he has done to bring home more money from his job is to change his withholding taxes, and I’m pretty sure that we will owe a lot of money when we file our tax returns. I suspect also, but am not sure, that he does not intend to report the income from his side business. He wants me to file jointly with him. He says that it will save us a lot of money in taxes, and he will take full responsibility for any taxes that might still be due. Despite our pending divorce, he is a good man, and I believe he has every intention of keeping his word. We are also still openly communicating, which is important to me for the sake of the children. Still, I’m worried that despite his best intentions he might be in over his head, and getting deeper. What are the risks to filing jointly. It would only be for this one year? A:You have raised an important issue. The fact is that you and your husband are still financially linked. With such connections come certain risks. If you and your husband file jointly and he is unable to pay the taxes due, a possibility since he seems to be having some financial difficulties, the IRS will presume that both of you are responsible for the balance due and may attempt to collect unpaid taxes from you. While in some cases you might eventually be able to get relief, there are no guarantees. Even if you are, IRS collection activities can be harsh and insensitive, and it is time-consuming and not always easy to reverse an action that has already taken place. 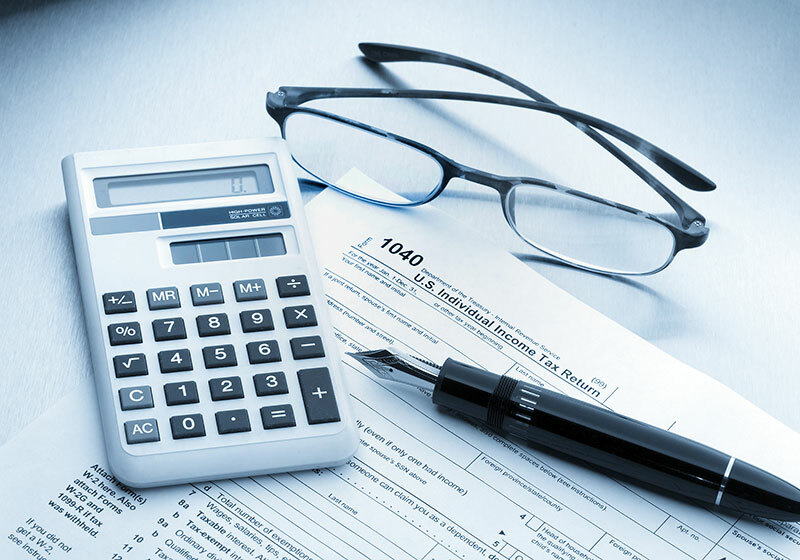 In your case, it might be difficult to get such relief because there may be a substantial understatement of tax, of which you had prior knowledge. The IRS will presume about knew of the underreported income and benefitted from it, and it will be up to you to prove you did not. If you can’t, the IRS will hold both of you responsible for the fraudulent tax return, even though the underreported income was his. Q:My ex-wife and I divorced late last year. We agreed that I would claim our two sons and she could claim mortgage interest on the house which is still in both names. If I read the 1040 instruction book correctly, I am required to file separately. Because my adjusted gross income is about $76,000 (her income was around $13,000), it appears that I will have an increased tax burden of about $3,500 plus penalties burden that will need to pay the IRS for last year. Is it possible for us to file Married Filing Jointly for last year and begin filing separately this year? It seems very wrong that we were married for a large portion of the year, and I would have to file as Single for the entire year. I also didn’t plan ahead and change my withholdings and am afraid I’ll owe money if I’m required to file separately. Any thoughts? A:Unfortunately, your filing status is dependent upon your marital status on December 31st. It is too late now but, given that the divorce occurred late in the year, you might have been able to delay the dtae of your divorce to beginning of this year. Depending upon other aspects of your situation, you and/or your ex- may be able to use the Single or Head of Household filings statuses, both favorable ways to file. Also, the 2 of you could potentially use Form 8332 to allocate dependency exemptions in a tax-advantaged fashion for your children. The divorce financial planning professionals at Divorce Analytics can do these calculations for you, or you could go to your accountant. You should do these things now, so you will know what you will be facing. Should it turn out that you will owe money, you can set up a payment schedule with the IRS. Considering your situation, you could also ask the IRS to waive any penalties. There are no guarantees, but we have seen situations in which the IRS has been sympathetic. It is definitely worth a try.